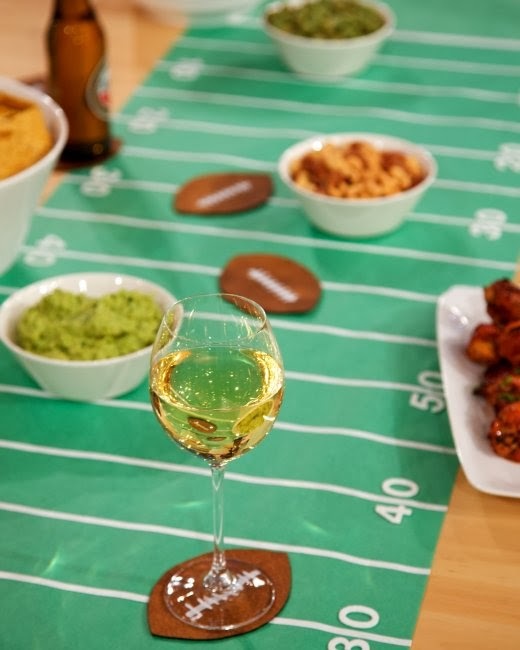 Paper table runners are an alternative to tablecloths at your tailgates and parties. The more and more I think about it, the more I think that paper is the way to go. It's a lot easier because you can just throw it away at the end of the day. Plus people tend to be a little messier with the condiments at a tailgate, and inevitably my tablecloths look pretty darn stained at the end of the season. 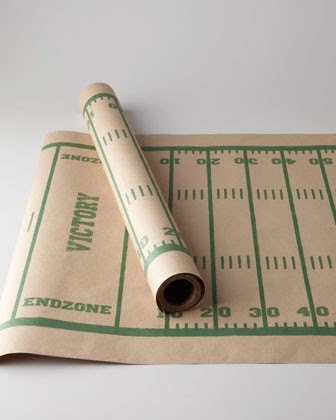 With the paper runners, you have two options; buy or DIY. Martha Stewart has a great tutorial on how-to make the first runner above, check it out here. Or you can purchase the paper rolls above from a variety of sources. Horchow has the best price at the moment. I am not super crafty but I think I am going to buy some brown butcher block paper and attempt to make my own table runners. If I am successful I will post the results.